Literally In The Moment: Farewell Michael Jackson ~ Phenomenal Muscian and Song Artist! Farewell Michael Jackson ~ Phenomenal Muscian and Song Artist! Michael Jackson a phenomenal musician and song artist, will forever live in the gifted songs he gave to the world. Michael Jackson was not only the King of Pop, but he could also Rock as seen here in one of my favorite videos Dirty Diana. Michael's performances absolutely sensational. I only wish I had the chance to see him in concert. Michael was so hot in this video, and at the top of his game! The whole world mourns Michael, and I'll always be an avid fan of his great music and incredible dance moves. Michael Jackson's music and dance mesmerized generations, and will live for many generations to come. His influence on the music and dance world is unprecedented. Michael was also a humanitarian, and raised millions of dollars in aid. Unfortunately Michael Jackson will never have the chance to make his big comeback! He had so much yet to offer us, his wonderful entertaining artistry unsurpassed! Michael Jackson's legacy will continue to endure throughout all time, and he'll certainly be missed in our music entertainment world. He's one of the greatest musicians in music history! If only Michael knew the magnitude of love that surrounded his magnificent talent! Michael Jackson was and always will be the embodiment of cool! I will remember you always. I just watched the video. It left me speechless,really. Such a loss! I think the world is still reeling from the news! Michael Jackson will never be forgotten! Good and bad things surrounded his life, yet Michael's talent will always remain in the spotlight! Ditto, ditto, ditto on everything you said! I had a party on Sunday and blasted his music. There will never be another dynamic entertainer for me!!! I feel really sad for his children....alas the media now is going to have a field day with this until the next sensational story! I agree there will NEVER be another entertainer like Michael Jackson! Such a loss to our music world! We'll never know what his comeback would've been like! Did you hear on the news how much he weighed at his autopsy? 112 lbs! So much stuff coming out! Yes his poor children, what they must be going through, and yet to go through! Goes to show you, you can have everything and still not have it all! A great artist, who made many mistakes. That is how I see Micheal Jackson. I always think real artists are truly hard workers. A good summation of Michael Jackson's life Terry! Isn't his death so sad Ochi, so incredibly talented. I just loved to watch him dance! Yes Michael Jackson was truly a hard worker, to craft such an artistry! Alert "Smiley," Puppy Stolen Tampa Florida!!! Update Manny was adopted 1st week in June 2011!! Manny was dropped off at the pound, is someone Missing Manny! Click Photo For More Information On Manny! Tony~American Staffordshire Terrier Dalmation Mix~Sadly Sweet Tony Passed On To Rainbow Bridge! 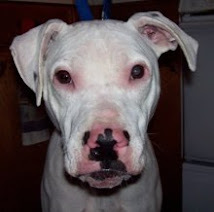 Tony is an adorable 1yr Deaf PUP in Braveheart Pit Bull Rescue, Lakeville, MA Click Photo More Info! 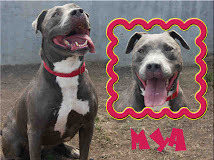 MYA - Was Finally Adopted 2-14-11!! 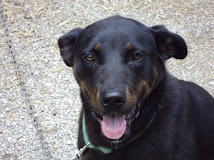 Max was deserted by his family when they moved, ADOPTED 2-5-11 Click Pic For his Success story!! I'm an online network correspondent for urgent animals, and have helped to find rescue for many dogs pictured on my blog! Getting their stories out there, and saving their lives is extremely gratifying to my soul! A woman possessing many passions. I wake everyday and find thousands of reasons to stay firmly planted on this awesome earth. Life's beauty captivates my photography, and my love for poetry and writing has followed me since my teens! A hopeless romantic, dreamer, rebel, nature enthusiast, stargazer, and ardent advocate for any cause I've a passion for. Crusading for a day in which violent hate crimes, child abuse, and animal abuse are eradicated from the world forever! Blog writing is a newfound gateway to document my everyday life, using my writing and photography to speak for the innocent and feature stories which are close to my heart. A published Poet, freelance writer, photographer, network correspondent for urgent animals, animal advocate, and consumer advocate. I've been a member of "The PEN," The Poetry Explosion Newsletter ~ The Poet Band Company of Pittsburgh since 2002. 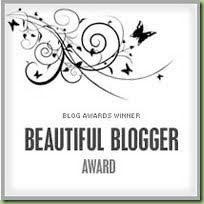 My blog is an extention of my life inspiring writing and photography passions. Please Adopt A Shelter Pet Today!! Zach & Lizzie a bonded pair of 7 year old dogs losing their owner to cancer and their home. 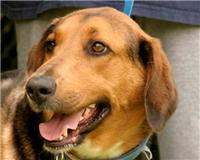 Ike~Male Shepherd Mix~Rescued 8-20-10~ Newport, TN~ Adopt A Dog On Death Row!! After much networking I was able to find a wonderful rescue for Ike! Aspen~Female English Pointer Mix~Rescued Hound Rescue Washington State~Adopt A Dog On Death Row!! Redford ~ Male Redbone Coonhound~ Adotped~ 8-9-10~ Hillsboro, OH ~ Adopt A Dog On Death Row!!!! 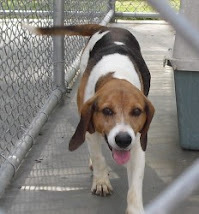 Lilly Female Beagle ~Rescued Pittsburgh PA 7-31-10 ~From New Kent, VA~ Adopt A Dog On Death Row!!! Many More Dog On Dogs In Danger! ~ Click On Photo!! 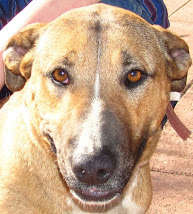 Tasha Female Adult Bull Terrier Mix~ ADOPTED 7-28-10~ Trinidad, CO ~ Adopt A Dog On Death Row!!! Many More On Dogs In Danger!!! Help Me Save Dogs On Death Row!!! Mister~ Male Cattle Dog Mix Pup ~Rescued!!! 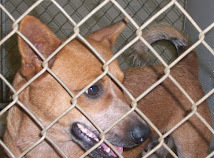 ~Americus GA~Adopt A Dog From Death Row!! 8 Beautiful Dogs I Helped Find Rescue! Eldad Hagar Rescues Chase On Her Day To Be Euthanized! Amazing Video Of Dog Behavioural Awareness! I had the pleasure of coming in contact with Eldad Hagar through facebook and through all of our animal related posts and contacts. Eldad appears in this and other videos rescueing dogs who are to be euthanized. Most of these dogs are abused and terribly afraid of human contact. All the dogs need is alittle love and to be able to trust again, most importantly a second chance! Eldad Hagar is their only chance, and he's the founder of Hope for Paws a rescue for homeless, abused, and injured animals in the Los Angeles, California Area! I stand in awe of his work, and I'm inspired by Chase and Eldad to feature more awareness for the animal shelter cause, especially for dogs on death row. Chase is awaiting a new home! 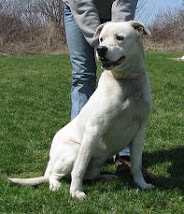 Virginia~ ADOPTED ~ Houndog Yellow Lab Mix, Elizabethtown, N. C.
Virginia was sponsored and has finally beeen Adopted! Yipeee!! 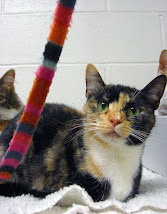 Tiger Ranch Cats Up For Adoption Here! Adopt one of these beautiful cats today! Click photo for Tails Wags N' At website! Free Service For Lost Dogs, Found Dogs, And Adoptable Dogs! Sign Petition To Save Seals!! All Poetry and Quotes ©Copyrighted by the U.S. Copyright Office. Ligonier PA Icefest 2010 ~ Photo Featured Ice Sculptures! Impressive Art ~ Portraits of the Eastern Frontier! Economy Blamed For Abandoned Dogs And Cats!! Puppy Stolen From Tampa, Florida Home! $1000 Reward! Proposition 2 Has Passed! We Did It!! Proposition 2 ~Words From A Female Sow ~ Poem Prompt! Pennslyvania Puppy Mill Dog Bill H.B. 2525 Is Now Law! My Favorite Love Song! What's Yours! This Is Your Brain On Cellphones! Chevy Camaro Makes A Comeback! My Chevy Cars! PA Puppy Mill Laws Finally!!! Attention Pennsylvania Animal Lovers Take Action!! and all of them...were you. to see in the world.